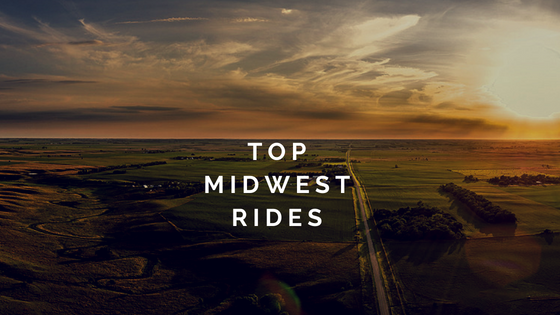 We’ve hit you with our lists of the top East Coast and West Coast rides and now it’s time to give the Midwest a little love. Yes, America’s Heartland is filled with expansive farmland and agriculture, but that’s not all it offers. The Midwest also offers bikers winding roads that seem to go on forever, quaint pit stops, and stunning scenery - sounds like a perfect day for any rider. Check out some of our favorite spots to take a ride in the Midwest. Tunnel of Trees (Michigan) - The Great Lake state is home to amazing routes for riders and the M-119 AKA the Tunnel of Trees is no exception. On this iconic route, you can expect to see coastline, small towns, and abundant forests. The narrow 16-mile road begins in Harbor Springs and ends in Cross Village. This ride is stunning during every season, especially in the fall when the leaves are changing. This route is rated among one of the most scenic in the nation. There are a few sharp turns near Devil’s Elbow on this road so keep that in mind while riding. Along the way there are many places to make a pit stop to enjoy a meal or just to take in the views. 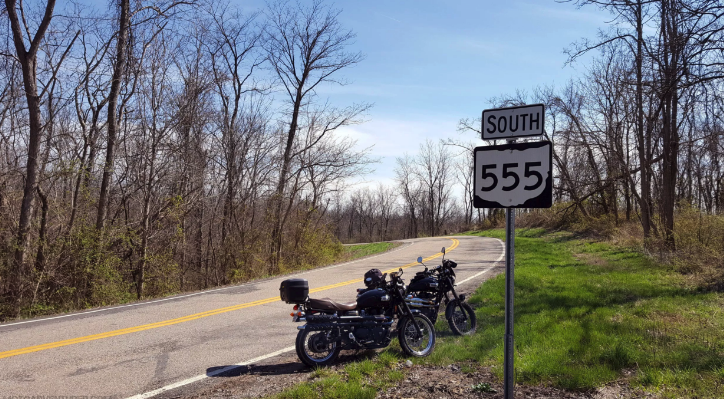 The Triple Nickel (Ohio) - The Triple Nickel is a part of Athen’s County “Windy 9” Driving and Riding Trails located on Route 555. The Triple Nickel has famous curves full of rolling hills, farmland, and you’ll even pass through a portion of Wayne National Forest. There are many challenging twists and turns on this road which is great for sport or sport touring bikes. There is occasionally loose gravel on the ride and a few blind turns so take your time and keep a watchful eye. 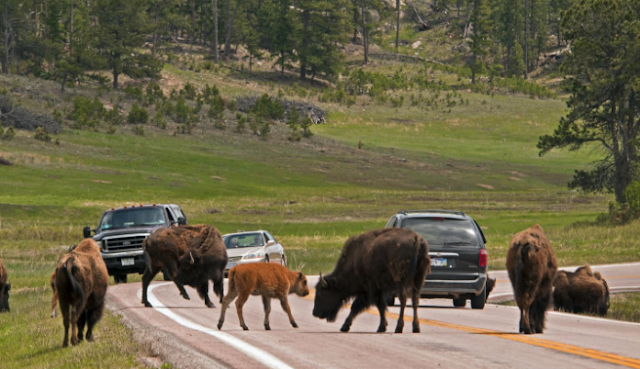 Wildlife Loop State Scenic Byway (South Dakota) - This 18-mile loop will excite any rider who wants to see some amazing wildlife. Take this ride in the morning and you are bound to see buffalo, bighorn sheep, deer, elk, and so much more. Many travel through this park by car, so be mindful of where the animals are in proximity to your bike and be careful not to spook them. Make sure to slow down and enjoy the sights, as the views on this route aren’t something you see every day. You will need a state park pass to go through this route or you will need to pay a small entrance fee. We feel the fee is well worth the ride - don’t forget your camera. Shawnee National Forest (Illinois) - The Shawnee National Forest is located in Southeastern Illinois and provides riders with incredible scenery including numerous caves, lakes, and cypress swamps. 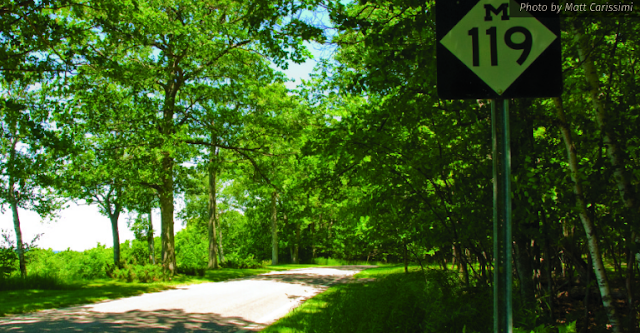 The area is referred to as the Illinois Ozarks and comes complete with winding twists and turns perfect for riding. You will want to watch for waterfalls that are near the roads in the springtime. 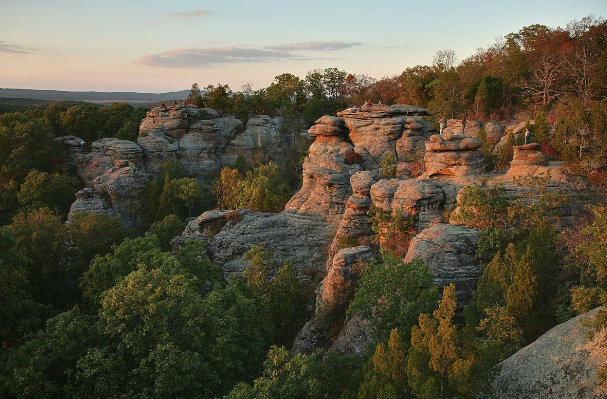 For the most part Illinois is known to be very flat, with a lot of farmland but in the forest there are many incredible rock formations that you won’t want to miss in an area of the park called Garden of the Gods. North Shore Tour (Minnesota) - Minnesota’s North Shore Tour is a 154-mile ride perfect for those looking to connect with nature. This ride begins in Duluth and you just take US Highway 61 North until you reach the U.S. / Canadian border. You’ll pass beautiful shoreline scenery along with rivers and waterfalls. This route has gentle curves great for beginners or anyone who is looking for a calm ride. This trip is best taken in July, August, or early September before the cold hits Minnesota. There are tons of great stops to take on this route so you’re sure to be entertained. In our opinion, the Midwest shouldn’t just be considered the “fly over states” - we think they have some pretty awesome rides for motorcyclists that should be explored. Are you planning on taking a ride in the Midwest sometime soon? What are you favorite routes. Let us know below. We’re back again to hit you with the motorcycle news you need to know this month, and although we’re early into August - a lot has happened in the motorcycle industry. So sit back and relax and we’ll catch you up on the latest cycle headlines. Slingshot Introduces New 2019 Lineup - On August 2nd, Slingshot unveiled their new 2019 models, highlighted by the popular Grand Touring model. The Grand Touring model comes with features and accessories right from the factory. The model has quilted comfortable seats, a tall wind deflector, and Ride Command with navigation. The Grand Touring starts at $29,499, and comes complete with a Black Crystal/White Pearl metallic paint job. The other models in the line up include the entry-level Slingshot S, the SL model, and last but not least, the top-of-the-line SLR. These new units deliver a unique “fun-factor” with an elevated product experience. You’ll want to see this new line up for yourself. Read More. Harley-Davidson Announces Release Date for Their New Electric Motorcycle - Harley recently unveiled plans for a new electric model that will soon join their line up. The long-awaited battery-electric motorcycle, LiveWire, will go on sale in August 2019. The production of this model started back in 2014, and the dream is finally becoming a reality. Adding new models is just one way Harley is aiming to attract new riders to the industry and we cannot wait to see what else the manufacturer has up their sleeves as they continue celebrating their 115th anniversary this year. Read More. Indian Motorcycle’s The Wrench Custom Scout Bobbers Revealed at Sturgis - Three months back, Indian Motorcycles unveiled a Scout Bobber build-off competition where they invited bike builders to create their own custom Bobbers. 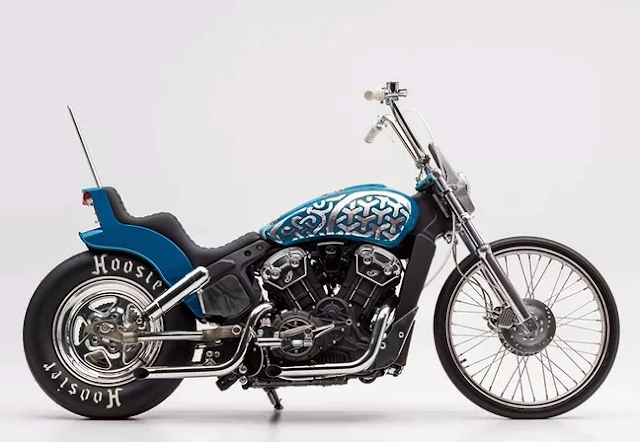 The three finalists of the competition were just revealed at Sturgis Motorcycle Rally and now they have a chance to win $10,000, but they need your votes. Trust us when we say these custom Bobbers are pretty sweet. Christian Newman, Alfredo Juarez, PJ Grakauskas are the three lucky finalists and you can check out their custom creations here. Read More. 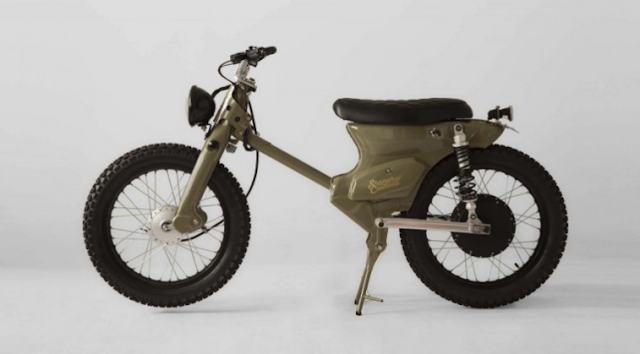 Honda Super Cub Gets Electric Treatment - Honda recently announced the return of their Super Cub model to America. However, interestingly enough this model has been around for 60 years and has already been a staple bike in many countries, including China. One shop in Shanghai is even offering buyers the opportunity to get hands-on and convert their Super Cub to electric power. China is encouraging cleaner alternatives and for riders to trade petrol engines for electric ones. Shanghai Customs came up with the eCub project as a result, which offers new buyers the fully electric Super Cub, and also offers a conversion kit to riders who already owned a Super Cub. We’re interested to see if this idea will spread to our market as electric bikes become more popular. Read More. There you have it - you’re officially all caught up on the moto news you need to know this month. Keep an eye out for our next installment of “In Case You Missed It” in September. Heard of any interesting stories we should know about? Drop us a line in the comments below. 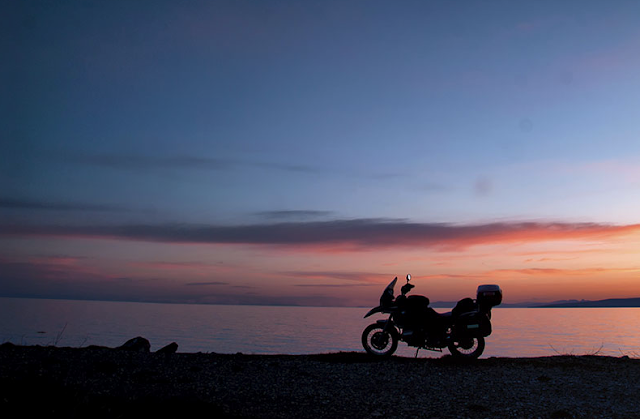 We all know how important it is to stay safe while riding, but are you actively taking steps to ensure that safety? 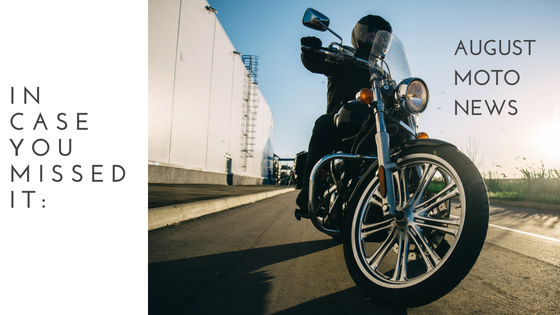 Sure you love the freedom riding gives you (don’t we all), but protecting yourself with the right gear is crucial while on the road. We’ve got an awesome list of safety gear you should consider adding to your line up. Check out a few of our top picks below. 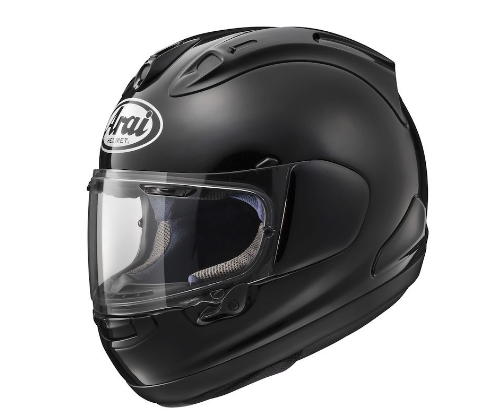 Arai Corsair X Helmet - Protecting your head is vital in the event of a collision making helmets essential. Corsair has taken protection to the next level with their Arai Corsair X Helmet. The helmet not only guards against direct impact, but it also redirects impact energy rather than absorbing it at one location. The helmet shell is constructed with Super Fiber specifically designed to create strong bonds with less weight. 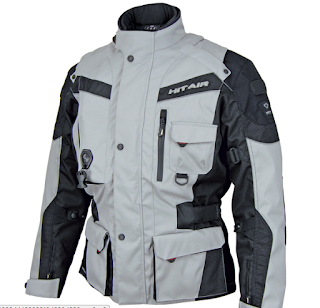 HIT Air Motorcycle Airbag Vest & Jacket - The Hit Air jacket uses CE armor to protect shoulders, elbows, and the spine. The jacket also uses an air cushion system - hence the name. In the event of an accident where a rider is thrown off their motorcycle, the air cushion inflates in an instant (.25 seconds or less) for protection. A wire is attached to the rider and the jacket and once a rider is separated from the bike, the wire pulls a key out of the gas release system which activates the air cushion. This amazing jacket also offers comfort, style, and is fairly light-weight so you can still look cool while being protected. Alpinestars BNS Tech Carbon Neck Support - A helmet can only do so much in a crash - that’s where a neck protector comes in. 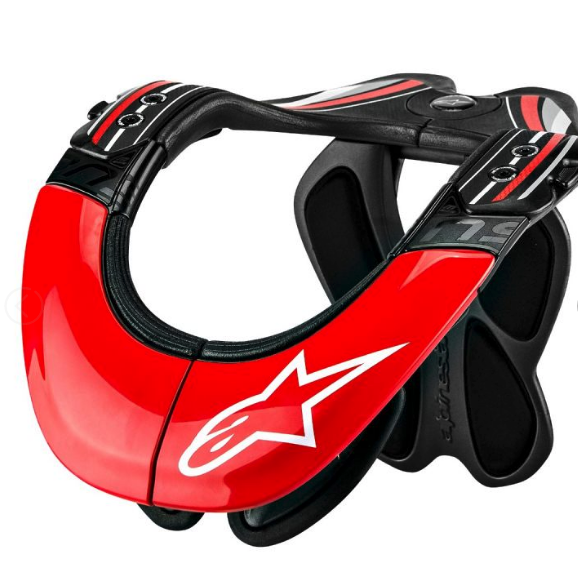 The Alpinestars BNS distributes the force of impact from your neck onto the neck support device, then the device pushes the impact to other parts of the body - saving your neck. You don’t have to worry about weight since the device comes in at just a pound and a half. It’s also super simple to put on. The device opens in the front and hinges at the rear so you can easily place it around your neck. REV’IT! Seesoft RV Back Protector - A back protector should definitely be included in your safety gear line up and the Seesoft back protector by REV’IT is flexible and contours the spine for optimum protection. It is also fully ventilated and the CE-Level 2 back protector insert is designed to absorb impact while still being comfortable. 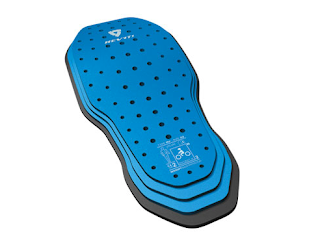 The insert disperses impact over a larger surface area minimizing direct impact on the spine. Reax Alta Mesh Jacket - If you’re trying to look stylish while still being protected, this could be the perfect riding jack for you. The Reax Mesh Jacket is also super affordable for the quality you’re getting, coming in at just $219. The jacket comes with SAS-TEC CE Level 2 rated armor in the shoulders and elbows. That type of armor is required when you are on a race track and comes standard on this jacket. 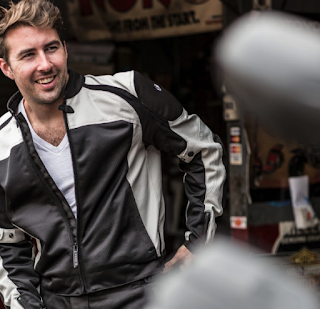 The Reax jacket also has a pocket specifically designed for a back protector (sold separately). While riding this jacket is light, comfortable, and extremely breathable for being so protective. 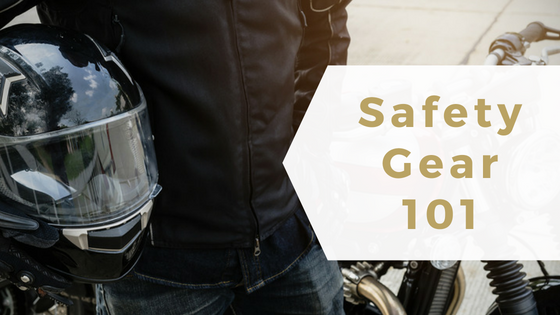 We love how the motorcycle industry is consistently promoting the importance of safety gear, because safety is a huge concern for riders. We encourage you to take a look at your current gear to see if you need to step up your safety game. Do you have a piece of safety gear you won’t ride without? Tell us about it in the comments below.